These days it is not enough to read books to gain knowledge. It is also essential to make the maximum out of the resources that are available hot at hand for us. To gain complete knowledge about the surroundings and the different works and projects that are going on one must have to make use of technology. The technology these days enables us to know about the various conferences across the globe and gives us details about them so that we can make the most out of it. We need to stay updated to our field at all times in order to produce quality work. These conferences will be an informative step towards our goals. There are thousands of conferences in various different fields and different topics that go on every year and it becomes really difficult to stay updated until and unless the proper use of technology is done. There are various conference alerts which once you register in them will give you a regular update on the upcoming events and the kind of topics that is expected to be discussed in that conference or event in a nut shell. This will help you to keep a track of the various conferences worldwide by staying at a particular place and choose the ones you think will add value to your knowledge. There are conferences held in every field in every corner of the world throughout the year thus to stay updated with the information well in advance will help you prepare for the same and attend or participate in the same. Furthermore there might be multiple events around the same time, so by having an idea about the events and the conferences in advance along with its content you can decide which ones to attend and which ones to let go. This will in turn make your planning much easier and your life sorted knowledge-wise. CLINICA: This is expected to be a very interesting conference in Clinical Research, Clinical Trials and Medical writing. Organized by ABC Biologics, calls for all professionals in the field to join the conference and discuss the present progress in their field. It is supposed to be held on the 1st of September in Bangalore. IJIEEE-International Conference on Electrical, Electronics, and Communication & Robotics Engineering (ICEECR): Organized by IJIEEE, this conference is expected to be very interesting given the trends in Robotics in various industries at present. It is going to be held in Mumbai on the 2nd of September this year and the registration process has begun already. ASAR-International Conference on Business Management, Economics, Social Science and Humanities (ICBMESSH): This conference organized by ASAR is one of the key conferences held this year which speaks about the various advances in the field of Economics, Business Management, Social Science and Humanities. The venue being in Pune, the conference is expected to be held on the 3rd of September 2017. NRF- National Conference on Recent Innovations in Science, Engineering and Technology (NCRISET-2017): Organized at Hyderabad by the Nation Research Forum on the 2nd of September 2017 this conference is expected to unveil certain important innovations in the field of Science and Engineering taking place around us at present. IRF-International Conference on Pharmaceutical, Medical & Environmental Health Sciences (icpharme-2017): To be held in Mysore on 3rd September, this conference is expected to provide a platform for industries and institutions to come hand in hand and discuss the present works happening in their individual fields at present. Academics World-234th International Conference on Artificial Intelligence and Soft Computing (ICAISC): The conference is being held on the 13th and 14th of September 2017 in Bali, India. This conference is based on the advanced information on Artificial intelligence which is a major leap in almost all industries in the present day scenario. IRAJ–International Academics Conference on Civil and Structural Engineering (IACCSE): Dated on 17th of September, this conference is basically dedicated to the Academics of Civil and structural engineering and this gives the basic knowledge about the recent progress in the field of civil engineering. It is supposed to be organized in Chennai by IRAJ. ISETE–International Conference on Mechanical, Manufacturing, Industrial and Civil Engineering (ICMMICE): This conference is supposed to be held in Kolkata on the 24th September by ISETE. It is organized to give the professionals a basic idea about the recent advances in the field of Mechanical, Civil, Industrial and Manufacturing Industry. WRFER – International Conference on Forestry Food and Sustainable Agriculture (ICFFSA): Food and Agriculture industry in our country is improving by the day thus this conference has immense importance in the present day scenario. To be held on the 1st of October in Bangalore, this international conference is expected to answer all queries about forestry, food and agricultural industry at present. ISSRD – International Conference on Recent Developments in Computer & Information Technology (ICRDCIT): The conference is supposed to be held in Bhubaneswar on the 22nd of October. This has been organized in order to encourage and promote the wellbeing of the academicians and make them work towards their goal will more zeal. It is a conference to look forward to. International Conference on Communication, Devices and Computing: Supposed to be held in Haldia, Organized by the ECE department of HIT, this is supposed to be a forum for industrialists, researchers, scientists and scholars to come together and share their views on various topics. It is to be held from the 2nd to the 3rd of November. There are many more international conferences spread across the country for the next few months and the various Conference Alert websites are available to guide you with the same. 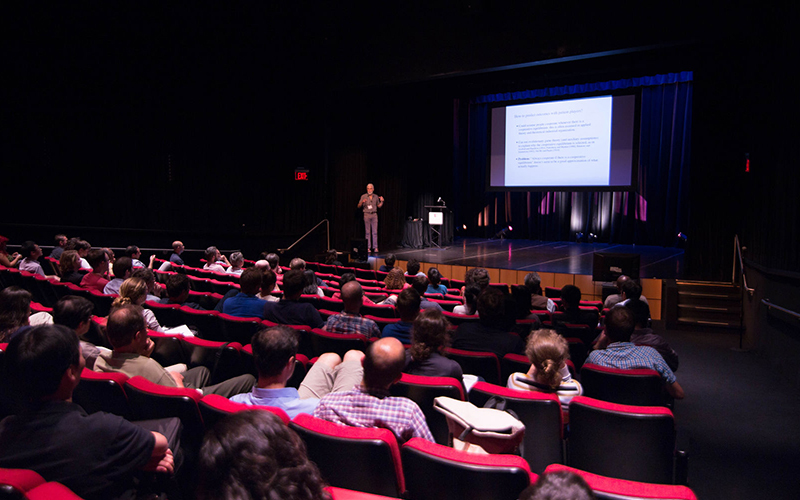 These conferences are on various different topics and in all kinds of fields. Thus you need to look through the list and register at the earliest for the ones you want to attend. This is actually a very interactive way of knowing your subject better and being updated about the different works being undertaken on the same.